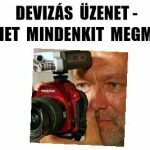 DEVIZÁS ÜZENET-NEM LEHET MINDENKIT MEGMENTENI! 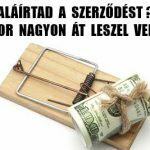 ALÁÍRTAD A SZERZŐDÉST? 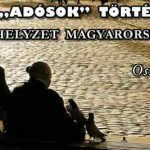 AKKOR NAGYON ÁT LESZEL VERVE! 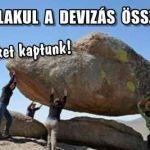 NYERTÜNK-A BÍRÓ IS TUD TISZTESSÉGES EMBERKÉNT VISELKEDNI! A NYUGATI TÉRRŐL A PARLAMENTBE – OSZD MEG!